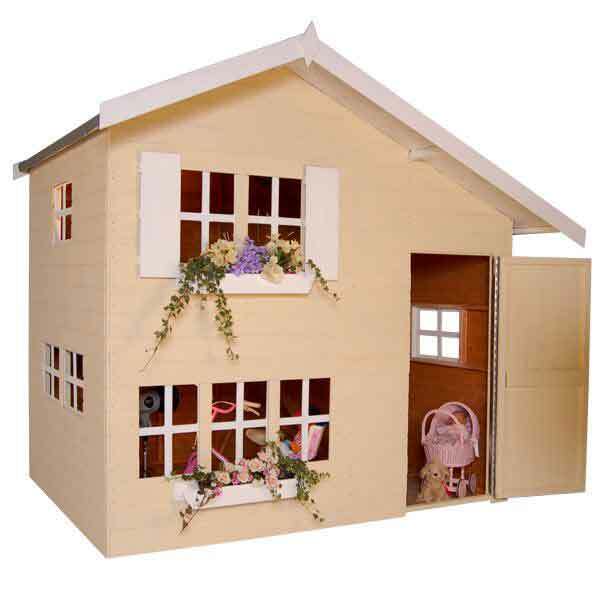 This 8ft x 6ft two storey wooden playhouse will provide your children with hours of fun and entertainment. 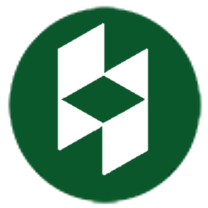 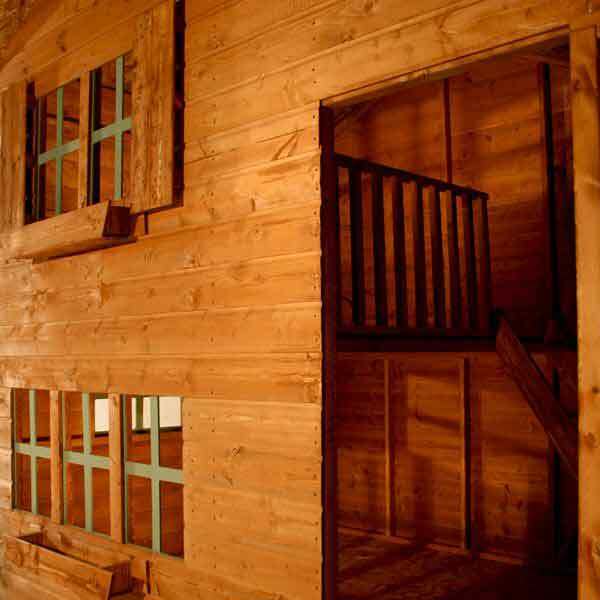 Safety has been taken into account with the windows made from 100% shatterproof styrene a safe alternative to glass, with the doors having a one inch gap so children don’t trap their fingers. 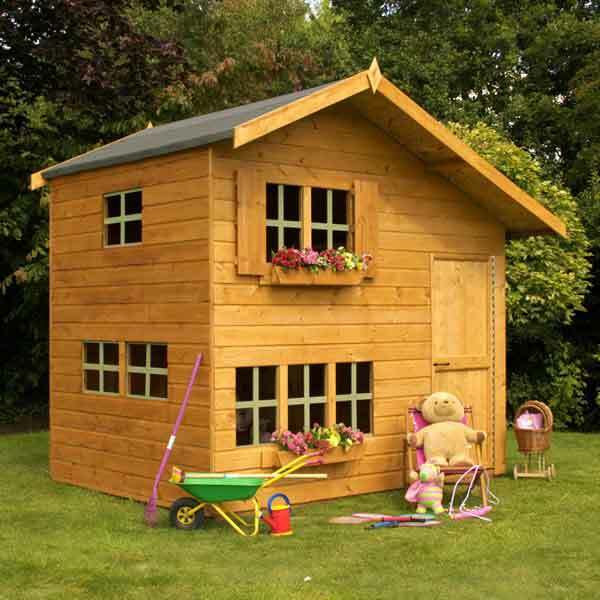 This high quality Playhouse is arranged over two levels, so is the perfect den, adding extra fun for children. 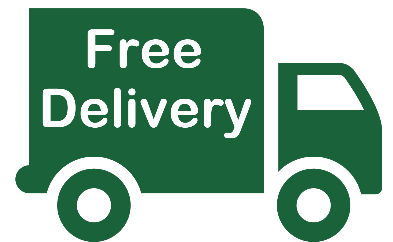 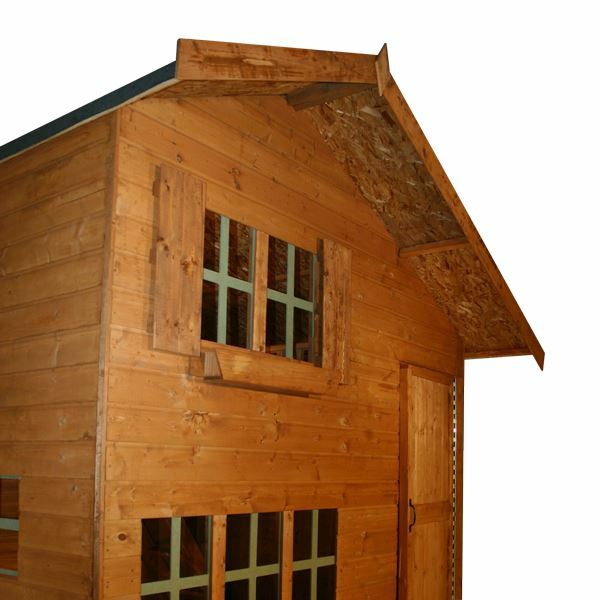 This garden building is constructed with tongue and groove cladding and 10mm solid sheet board floor and 8mm roof and is supplied with a free basecoat factory treatment. 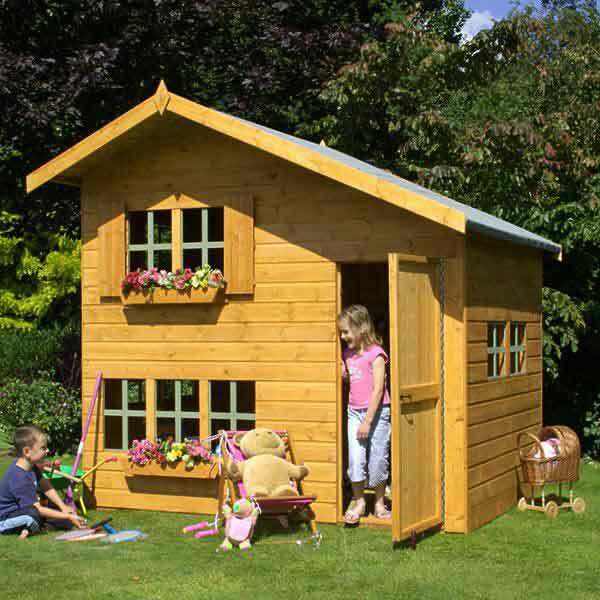 The Playhouse is sturdy and durable and comes with a 10 year anti rot guarantee for peace of mind.